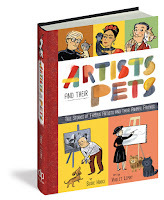 Welcome to the world, Artists and Their Pets! 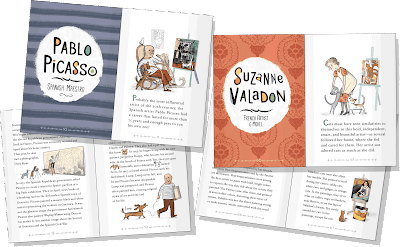 Six months ago I was busy illustrating a bunch of fine art, artists, and animals for this cool new book written by Susie Hodge: Artists and Their Pets, which is officially being released today. 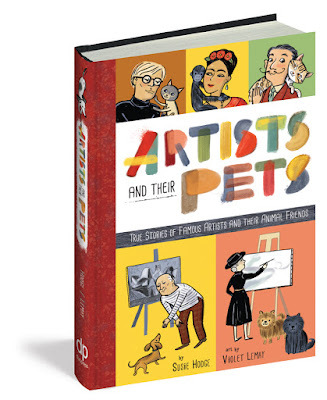 There are twenty chapters in Artists and Their Pets; each is devoted to an animal-loving artist. Some (like Picasso) are well-known, but others (like Suzanne Valadon, mother of Maurice Utrillo) are a bit more obscure. All of the stories are fascinating. There are 298 illustrations in Artists and Their Pets, including the studio moments featuring Gustav Klimt, Romare Bearden and Salvador Dalí shown here. Biographies require lots of research, so every image took time and careful thought. Besides the artists and their pets, their studios and artwork had to be accurately depicted at a certain moment in time. 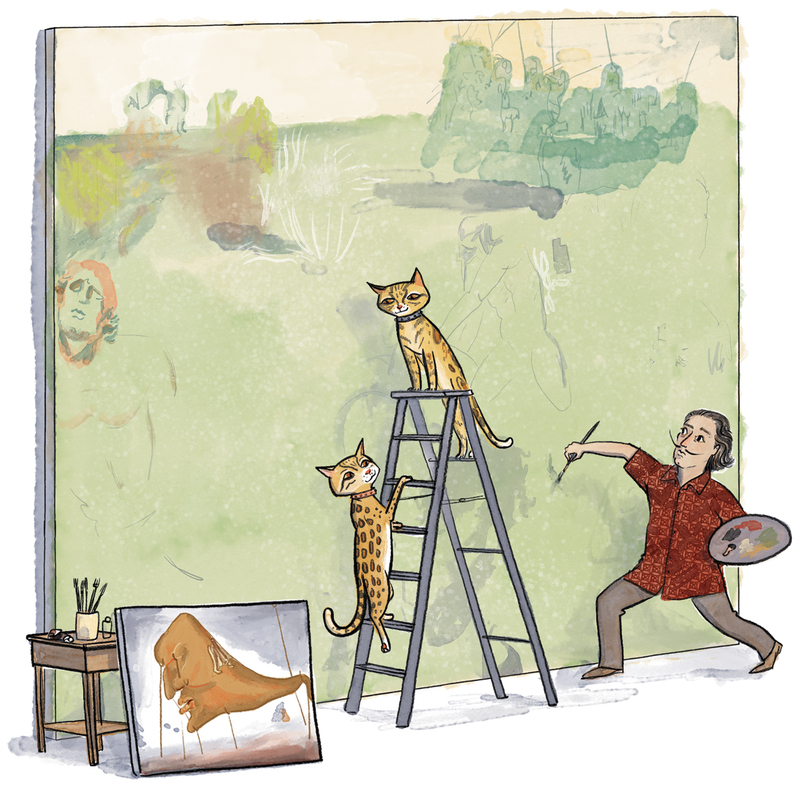 You'd be amazed how difficult it can be to find the size of a certain painting and the year(s) it was painted... let alone how the artist, his studio, and his pets looked was when he was working on it. What kind of smock did he wear? Was he left or right handed? Which years did he wear a beard? When did he go bald? 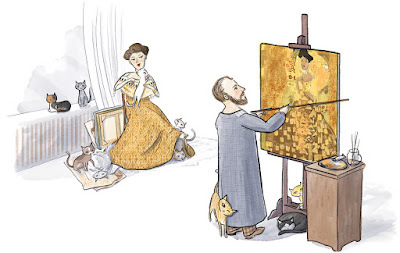 What kind of easel did she use? When did she move west? What did she look like as a child? 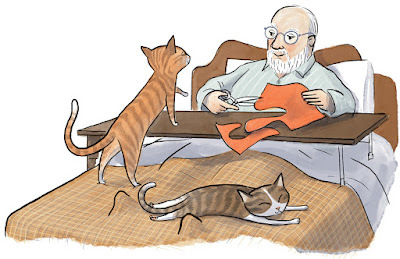 And... what did that cat look like? Tons of research went into illustrating Artists and Their Pets, and I loved every minute of it. 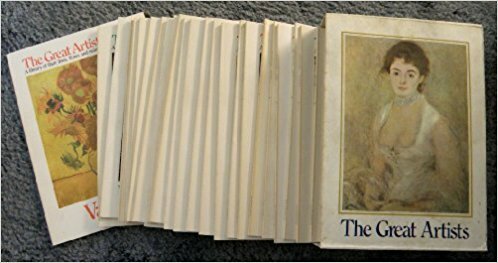 When I was a girl I treasured The Great Artists (Funk & Wagnalls, 1978), a boxed set of oversized soft-cover art books shown in the photo above. My mom bought the books week by week from Mr. Food—which eventually became Schnuck's—our local grocery store. It was a special promotion. Every volume was devoted to the work of a different artist: Goya, Manet, van Gogh, etc. Those books, which were written for adults, were my introduction to art. I spent countless hours pouring over them. They were a big part of my growing up. My mom will be eighty years old in a few months. 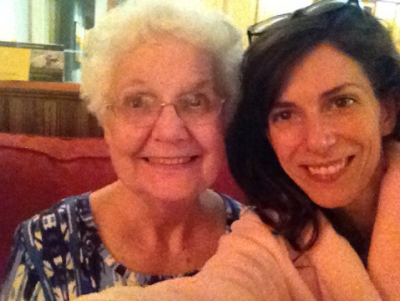 Between her upcoming birthday and the release of Artists and Their Pets, today seems like a great time to say THANK YOU, MOM! Thank you for nurturing my interest in art, one of the great loves of my life. What a blessing to participate in a project that is designed to introduce kids to art, artists, and the animals who stole their hearts. 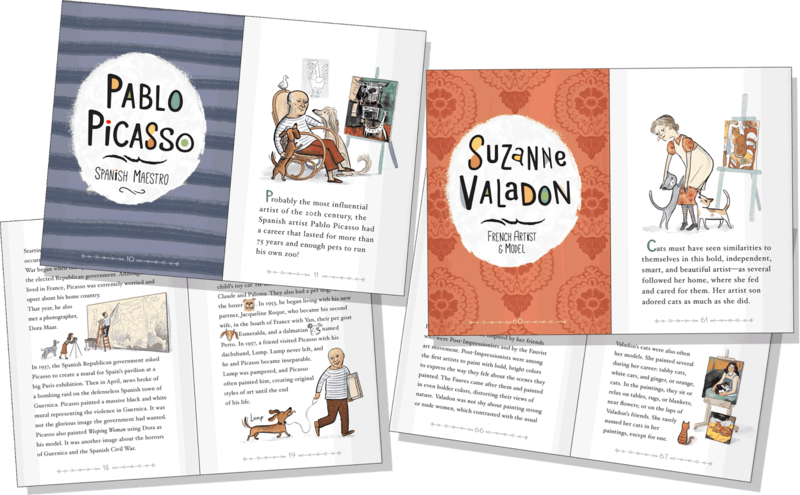 Artists and Their Pets was written by Susie Hodge, published by duopress, and is distributed by Workman Publishing.